The subject of sand and proppants—vital for oil and gas well hydraulic fracturing—bears renewed examination. "Proppant" is often used to mean manufactured resin or ceramic beads, while "sand" is obviously sand. However, investors should be aware the meaning of "proppant" is sometimes expanded to include sand. Oil shale drillers have recovered in concert with oil prices that dropped from $100/barrel to $26/barrel and have now returned to over $50/barrel. OPEC has cut production, but US shale drillers have increased theirs. So far, OPEC countries have been disciplined in adhering to quotas. However, a substantial overhang of stored oil remains and global demand is soft, putting downward pressure on prices. While any decrease in federal regulatory costs under the new US administration improves the economics of drilling, fracking is regulated at the state level. Sand-company profits of as much as $35/ton before the oil price downturn dipped to lows of $7/ton in 2015-2016. Sand and proppant sellers are now increasing prices 20% or more to regain margins. Prospects look bright because drillers have boosted their own margins by drilling longer laterals and by using more sand per foot of lateral length. 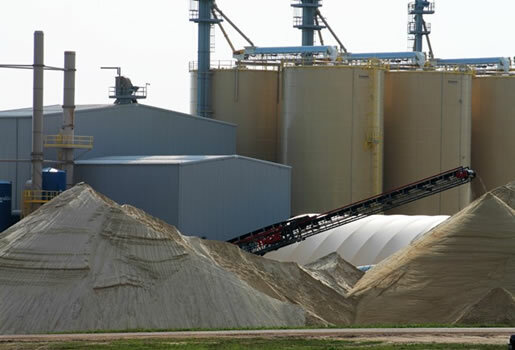 Increased demand for sand has led to the reopening of sand mines in western Wisconsin, one of the Midwestern states (like North Dakota, Ohio, and Pennsylvania) integral to the US energy business as both suppliers and consumers. Perhaps the most salient indicator of optimism is the North American Frac Sand Exhibition and Conference scheduled for February 22-23, 2017 in Houston, Texas.